Everyone is just in shock with the verdict of Casey Anthony. 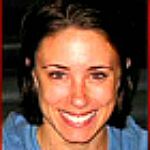 Casey Anthony, who was charged with the murder of her 2-year-old daughter, was found not guilty yesterday in the Orlando court trial. The media dammed the young woman. However, so did Casey herself. She went a whole month before reporting her daughter missing. And it wasn’t even Casey who called the police but her mother once she repeatedly questioned Casey on the whereabouts of her granddaughter. Casey lied repeatedly to the authorities accusing a ficticious nanny of kidnapping her, lying about her employment saying she worked at Orlando Universal Studios and actually did not. Investigators brought Casey to Universal Studios and asked her to show them her office. Casey led police around for a while before admitting that she had been fired years before. Charges of fraud, forgery, and petty theft were brought on Casey. Finally several months later, the remains of Caylee Anthony were found. Duct tape was found on the skull. Once trial proceedings began, Casey was offered immunity to just give information on what exactly happened to her daughter. She refused. She was indicted by a grand jury on charges of felony murder, aggravated child abuse, aggravated manslaughter of a child and four counts of providing false information to police. Death threats were being made toward Casey’s parents. Casey’s father, George Anthony, was missing and was later found in a hotel threatening suicide. More than 6,000 pages of evidence released by the Orange County Sheriff’s Department, including hundreds of instant messages between Casey and ex-boyfriend Tony Rusciano, have been the subject of increased scrutiny by the media for clues and possible motives in the homicide.Rusciano, a rookie Orange County deputy, was fired for lying about his sexual relationship with Casey Anthony. DNA eventually found Caylee’s hair in the truck of the Casey’s impounded car. Computer searches were found on her computer for chloroform, neck breaking, and death. Chloroform was also found in the truck of Casey’s car. Trial began May 24, 2011. The defense, led by Jose Baez, presented its claim that Caylee drowned accidentally in the family’s pool on June 16, 2008, and was found by George Anthony, who then covered up Caylee’s death. Baez also alleged that George Anthony had sexually abused Casey since she was eight years old, and also claimed that Casey’s brother Lee had made sexual advances toward Casey; he was even given a paternity test to see if he was Caylee’s father. However, the defense offered no proof of any sexual abuse of Casey by either George or Lee Anthony; consequently the defense was not allowed to mention claims of sexual abuse in their closing arguments. In the end, Casey Anthony was acquitted of all murder charges. No one knows who Caylee’s father is, whether or not Casey was molested by her father or brother, how Caylee died and why it took so long for Casey to come forward about her daughter’s death — and there is a strong possibility we will never know. In a trial with as much media attention as the Anthony trial and in the age of social media, the Casey Anthony case has consumed conversation on Twitter and Facebook throughout its duration. As the jury reached their verdict today, she became the dominant topic of conversation as the prelude to her sentence trended worldwide. 3.The discussions about giving Caylee up for adoption to her best friend Kiomarie Cruz. 5.The fact that when Casey was a kid she and her friends would bury their dead pets in the very same place Caylee was found and attach a heart-shaped sticker. 8.Her diary with the poem about how everyone lies and everyone dies etc. This entry was posted in Blogging, Laws, News, Opinion, Past, Tragedy and tagged Blogging, Craziness, Emotional, News, Television, Unsolved Mysteries. Bookmark the permalink.